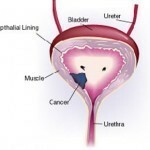 To remove any stinging ache associated with the gall bladder, you need to know the causes and treatments. The following information may prove helpful. The most common cause are gallstones. These crystal deposits are made from cholesterol, calcium and bilirubin. Gallstones are created when digestive juices can no longer cope with the cholesterol in the body. Over 85% of all gall bladder ailments are associated with gallstones. From this ailment several others can arise causing everything from dull to sharp pain. Cholelithiasis means the gallstones have gone into the gall bladder itself. Choledocholithiasis refers to gallstones in the bile duct heading into the intestines. Another disease arising from gallstones is cholecystitis. This means an inflammation of the gall bladder. More often than not, the symptoms manifest after consuming fatty and cholesterol rich food. It commences with sharp pain in the upper abdominal area. It will move onto the lower chest section. The pain might travel up to the back and between the shoulder blades. There are other symptoms you need to know. These include difficulty eating fatty foods and chills. A low degree fever will be accompanied by sweating too. Other signs are excessive belching, gas pains and nausea. In some cases the nausea will lead to vomiting. The more severe attacks will induce irregular bowel movement. The bowels may be clay colored. 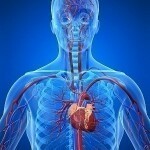 A doctor will perform the diagnosis by studying the symptoms mentioned earlier. The doctor will also look for indications of jaundice. Abnormal swelling of the stomach will be assessed as well. In addition, laboratory tests will be conducted too. The blood tests will be especially helpful. This examination determines any defects in the bile duct. A series of other tests will be done to exclude the possibility of other illnesses beside gall bladder. Those suffering from sharp stabbing pain may be subjected to an ultrasound. Cholecystography will also be performed. This is a series of tests including x ray and cholecystogram. The best way to prevent this from happening is reduce the fat in the diet. Losing weight is also recommended. If there are occasional mild attacks, apply heat on the affected area. Drinking some water will also help. You may also take acetaminophen (non prescription type). 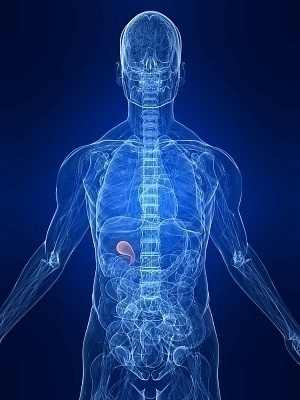 In some cases, cholecystectomy (removing the gall bladder) is the only alternative. 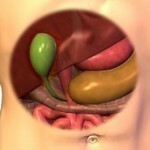 The doctor uses a laparoscope to take out the gall bladder. 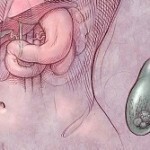 If the gallstones are situated in the bile ducts, more surgery is required. In this case, an endoscopic retrograde cholangiopancreatoscopy may be performed. Another surgical procedure is cholelithotomy. If the patient is too weak to undergo surgery, ursodeoxycholic acid will be given. It is used to melt the stones. Another technique being used nowadays is extracorporeal shock-wave lithotripsy. CT scans are also used sometimes. The good thing about gall bladder pain is that it can be prevented. As long as you eat the right foods and keep your weight under control, it can be managed.